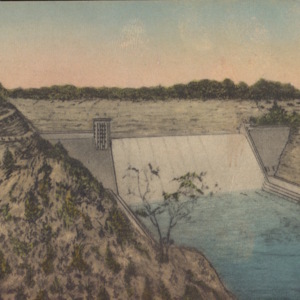 Handcolored illustration of Mount Morris Dam appears on the front of the postcard. No back to card. 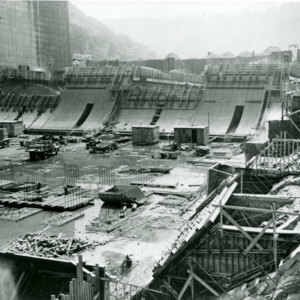 This image from the early 1950s shows the construction of the dam at Mt. Morris. Prior to this time, areas along the Genesee River flooded annually. This mighty structure now helps regulate the river's volume.